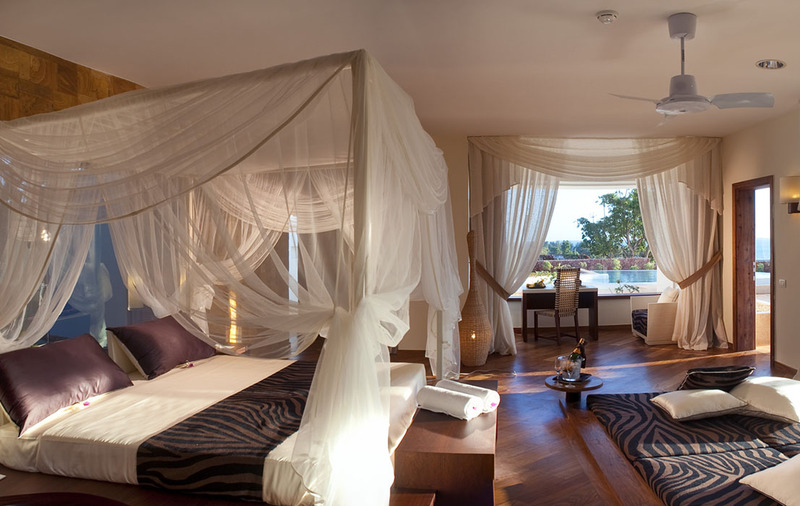 Diamonds Star of the East is an exclusive and luxury barefoot sanctuary set on the north-western tip of Zanzibar. 11 delightful villas face a gleaming white sand beach that meets the Indian Ocean. 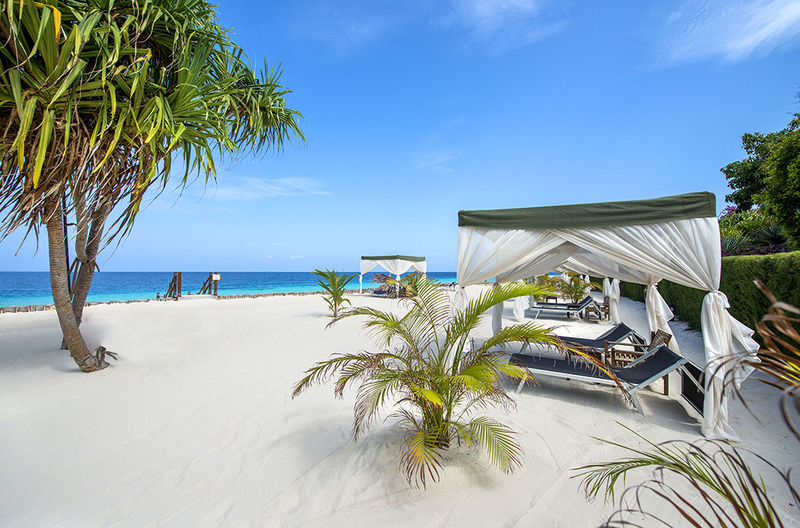 With a personal butler service, an African rain spa, a private beach and a wealth of water sports, this is the place for an exclusive beach holiday on this mysteriously exotic island. 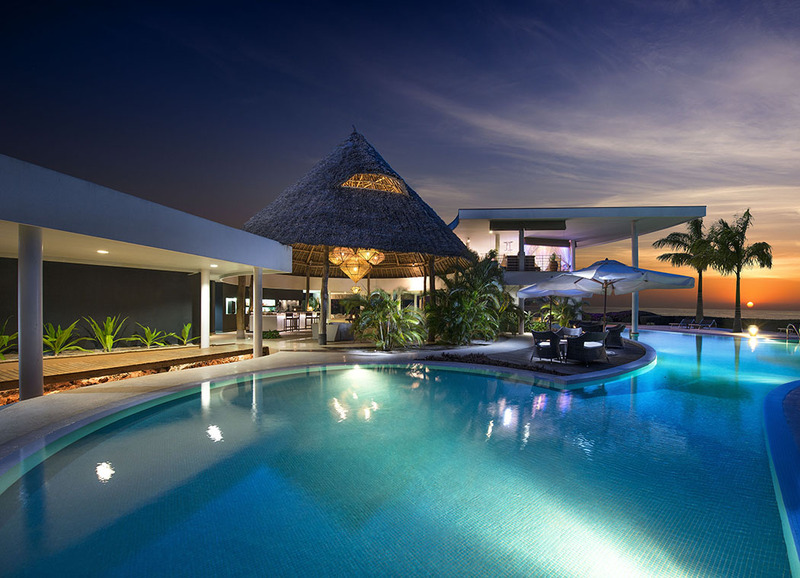 What makes Diamonds Star of the East stand out is that this hotel is truly All-Inclusive – absolutely everything is included in the stay; watersports, snorkelling excursions, live entertainment every night, laundry service (such an essential! ), packing and unpacking service, fully stocked minibar, Sunset cocktails and canapes, drinks-both soft and alcoholic (premium drinks at extra charge), the fine cuisine at lunch and dinner, even romantic private dinners on the beach! This is what makes Diamonds Star of the East so special and exclusive. 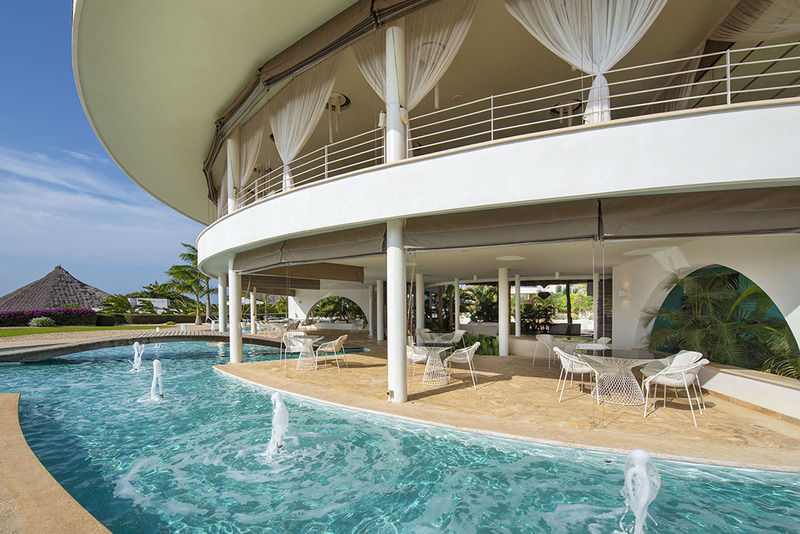 Villas are beautifully appointed with a large covered patio area and a vista of the Indian Ocean. Each sits in its own tropical garden filled with colourful flowers and each blends into the environment with crisp white walls and thatch roofs. Each has its own plunge pool which is completely private but quite shallow at around 2 feet deep with jacuzzi bubbles. There is also an ample terrace and swathes of white muslin surround the four-poster beds. In the evening, staff bring beautiful flower arrangements to your room which scent the room as you fall asleep. 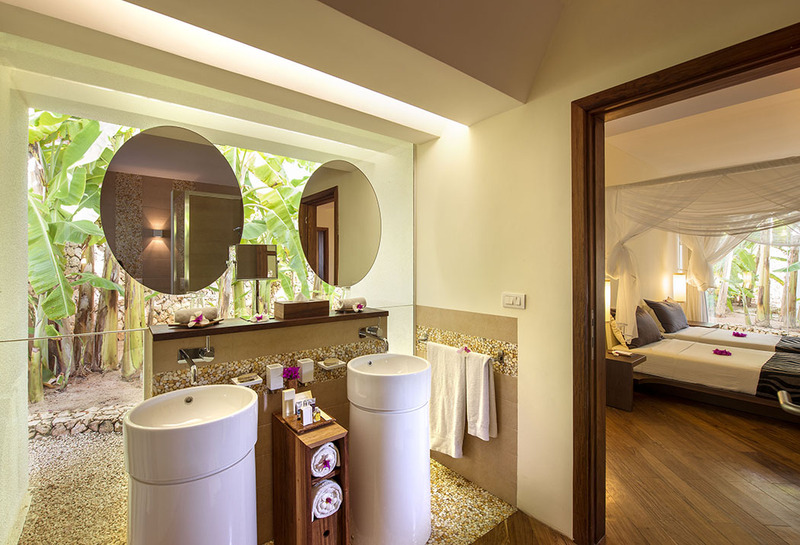 Wake with fabulous sea views framed by the floor-to-ceiling windows, hop into your outdoor shower and then take breakfast on your terrace bought to you by your butler as you contemplate your day of beaching, snorkling with stingray or taking a trip to Stone Town. With a choice of 5 restaurants, as well as an eat-at-home option, you will be hard pressed to decide where to dine. The seafood platter at Seabreeze offers mouthwateringly good Lobster and seafood prepared to perfection. 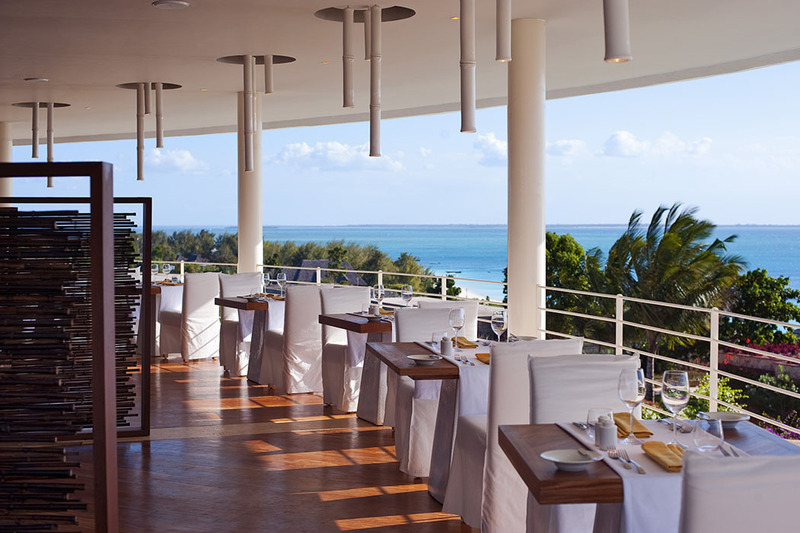 The hotel will also arrange a beautiful and romantic private dinner on the beach. 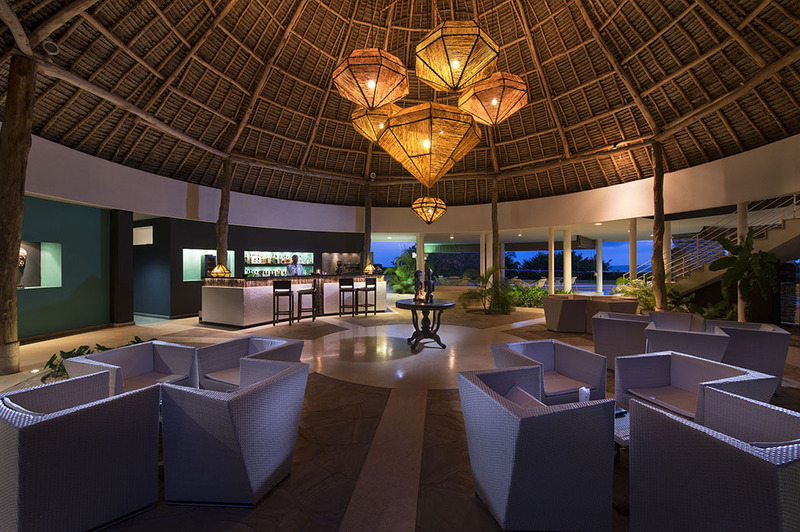 An impressive African structure on the beach is known as the Sunset Bar. This bar juts out into the ocean and is the perfect place to enjoy an evening cocktail as the sun sets. This beach justifies top billing. The beach at Diamonds Star of the East is one of the cleanest, most beautiful beaches that you can imagine. When compared to beaches in Fiji, Maldives, Bahamas, this remains a top choice. The sand is almost white, the water turquoise blue and as clear as the Maldives with that bright turquoise colour that gradually changes to dark blue. Tidal currents are minimal making this beach idyllic for a swim. 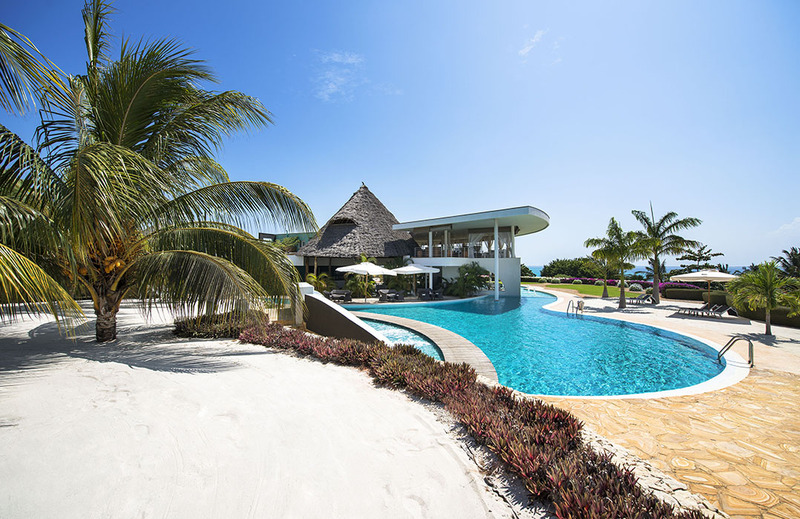 If luxury, privacy and tender care in a tropical paradise appeals, book a stay at Diamonds Star of the East and look forward to breathtaking views over the Indian Ocean and the famous Zanzibar sunset.